The Bay Area is in continual danger of another large earthquake. This webpage provides some resources from government agencies and partners to help prepare yourself for the next major earthquake. You can prepare for the next earthquake with videos, find out about opportunities to get in-depth training and become part of a volunteer corps, look at maps and learn some earthquake science. SF72- San Francisco's official preparedness webpage. AlertSF - AlertSF is a sms-based message service to let you know of alerts regarding emergencies disrupting vehicular/pedestrian traffic, watches and warnings for tsunamis, flooding, and Citywide post-disaster information to your registered wireless devices and email accounts. California Earthquake Authority - CEA is a publicly managed, largely privately funded organization that provides catastrophic residential earthquake insurance and encourages Californians to reduce their risk of earthquake loss. 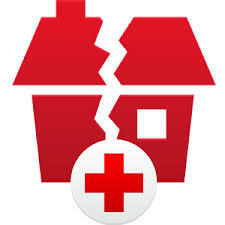 Family Disaster Plan - Complete and share your family's game plan with these tools created by the Red Cross. Federal Emergency Management Administration - Federal Emergency Management Administration (FEMA) offers extensive earthquake resources for families, communities, teachers and disaster planning officials. Great California Shakeout - Cal OES (Governor's Office of Emergency Services) has printable guides for securing water heaters and furniture, tips for people with pets and a supplies checklist. Register and find resources for participating in a Shakeout Drill. MyHazards - Use this Cal OES website to discover the hazards that exist in your area and learn how to reduce your risk. Ready.Gov - FEMA offers resources for disaster planning for families and businesses. Also includes learning resources for children. Small Business Administration - These resources can help you develop a plan to protect your employees, lessen the financial impact of disasters, and re-open your business quickly to support economic recovery in your community. Earthquake Preparedness Guide for People with Disabilities and Other Access or Functional Needs (PDF under 1M) - This guide from the Earthquake Country Alliance shows people with disabilities how to prepare for earthquakes. Ready Wrigley - Readiness materials for children from the Office of Public Health Preparedness and Response at the CDC. 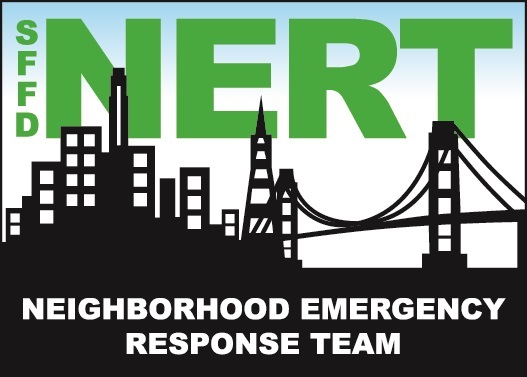 Neighborhood Emergency Response Team - NERT is a free training program for individuals, neighborhood groups and community-based organizations in San Francisco. ALERT - The Auxiliary Law Enforcement Response Team (ALERT) is a citizen disaster preparedness program designed for volunteers 16 years of age or older, who live, work, or attend high school in San Francisco. Disaster Service Workers - All San Francisco City and County employees are designated by both State and City law as Disaster Service Workers. Reserve Police Officer Program - San Francisco Police Department's Police Reserve Officer Program is comprised of community members who wish to volunteer as a Police Officer. San Francisco Medical Reserve Corps - San Francisco MRC trains and prepares for a large scale disaster while providing volunteer opportunities that assist San Francisco's readiness. Bay Area Search and Rescue Council - Made up of the more than 1000 volunteer members, BASARC represents 20 separate Search and Rescue Organizations in the San Francisco Bay Area. CaliforniaVolunteers - CaliforniaVolunteers is the state office that manages programs and initiatives aimed at increasing the number of Californians engaged in service and volunteering. National Medical Reserve Corps - The Medical Reserve Corps (MRC) is a national network of volunteers, organized locally to improve the health and safety of their communities. California Office of Emergency Services - Learn how to perform animal CPR or watch video simulations on Cal OES's YouTube channel. NERT - Learn about natural gas safety, how to use a fire extinguisher and prepare an emergency kit. NERT Training Sessions - Watch NERT training in five sessions, lasting approximately 30 minutes each. 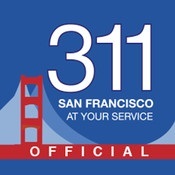 From SFGovTV's Video on Demand Service. Stay Safe - SFGovTV's award-winning Stay Safe series illustrates easy steps to take before an earthquake to stay safe in your home after a major earthquake, while repairs are underway. Department of Building Inspection (DBI) Soft Story Program - Part of the City’s Earthquake Safety Implementation Program (ESIP), a thirty-year plan to reduce the impact earthquakes will have on San Francisco. California Building Code - Title 24 of the California Code of Regulations, known as the California Building Standards Code or just "Title 24," contains the regulations that govern the construction of buildings in California. San Francisco Building Codes - The San Francisco Public Library's local Building Code page. It contains links to earlier editions of the San Francisco Building Code. San Francisco Department of Building Inspection - Under the direction and management of the seven-member citizen Building Inspection Commission, to oversee the effective, efficient, fair and safe enforcement of the City and County of San Francisco 's Building, Housing, Plumbing, Electrical, and Mechanical Codes, along with the Disability Access Regulations. 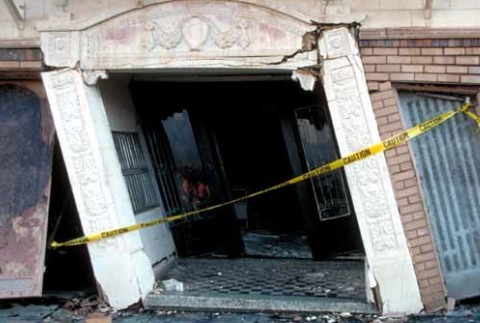 FEMA earthquake publications - For building designers, managers and regulators. Includes records for earthquake publications of interest to seismic design and construction professionals. On October 17, 1989 at 5:04 p.m., a 6.9 magnitude earthquake (commonly called the Loma Prieta earthquake) rocked the San Francisco Bay Area. The Loma Prieta earthquake killed 67 people, injured over 3,000, and made approximately 8000 homeless. BART Remembering Loma Prieta - BART presents special coverage looking back at the role BART played as a lifeline, strengthening the system and earthquake tips. Read about memories of employees and riders, see historical photos and watch video stories from some of those who were there. Loma Prieta Digital Collection - Documents about the Loma Prieta earthquake and more, from the collections of the Government Information Center. Loma Prieta 25 (LP25) - The goal of LP25 is to create a series of events to commemorate the 25th anniversary of the Loma Prieta earthquake and to develop interactive opportunities to help Bay Area residents prepare for an emergency. Loma Prieta Earthquake - Anniversary page from the Bay Area Earthquake Alliance. San Francisco Historic Photo Collection - Images of the 1989 earthquake from SFPL's own Historic Photo Collection. USGS Loma Prieta - US Geologic Survey historic earthquake page for the 1989 Loma Prieta earthquake. When the Bay Area Quakes - USGS film made in 1990 documenting the science and social implications of the 1989 Loma Prieta earthquake that created heavy damage throughout the San Francisco Bay Area of California. Animations for earthquake terms and concepts - USGS provides animations illustrating 16 different earthquake terms and concepts. A 680 KB zip file of all animations can be downloaded. California Geological Survey (CGS) - CGS is dedicated to the fulfillment of its mission to provide scientific products and services about the state's geology, seismology and mineral resources that affect the health, safety, and business interests of the people of California. California Integrated Seismic Network (CISN) - CISN is a partnership among federal, state, and university agencies involved in California earthquake monitoring. The CISN is dedicated to serving the emergency response, engineering, and scientific communities. Faultline: Seismic science at the Epicenter - Exploratorium online exhibit includes information about the San Francisco earthquakes of 1906 and 1989, plate tectonics and more. National Institute of Standards and Technology (NIST) - Disaster and failure study from the NIST regarding the 1989 Loma Prieta earthquake. Shock Waves: One Hundred Years after the 1906 Earthquake This 2006 USGS film (nominated for an Emmy award) shows the century of progress that science and engineering have made since the 1906 San Francisco earthquake. Includes dramatic historical footage, reenactments, colorful animations, and interviews with earthquake experts. ABAG Earthquake and Hazards Maps/Info - The Association of Bay Area Governments (ABAG) earthquake mapping project is designed to help residents and local government officials to understand that every region of the Bay Area faces significant earthquake risk from faults far and near and empower them to take actions to reduce their risk. California Geological Survey (CGS) - Fault maps, historic earthquakes, how the ground is expected to shake, and much more. California Integrated Seismic Network (CISN) - Maps of recent earthquakes, ShakeMaps for larger earthquakes, email notification, and more. The California Governor’s Office of Emergency Services (Cal OES) - Geologic and other hazard maps and GIS tools. California Geological Survey (CGS) - Earthquake Shaking Potential Map of California (Dec. 2008). Shakeout.org - Historic Bay Area epicenters and faults. United States Geological Survey, Northern California - Fault and earthquake maps, shaking hazard maps, liquefaction maps, and other information. 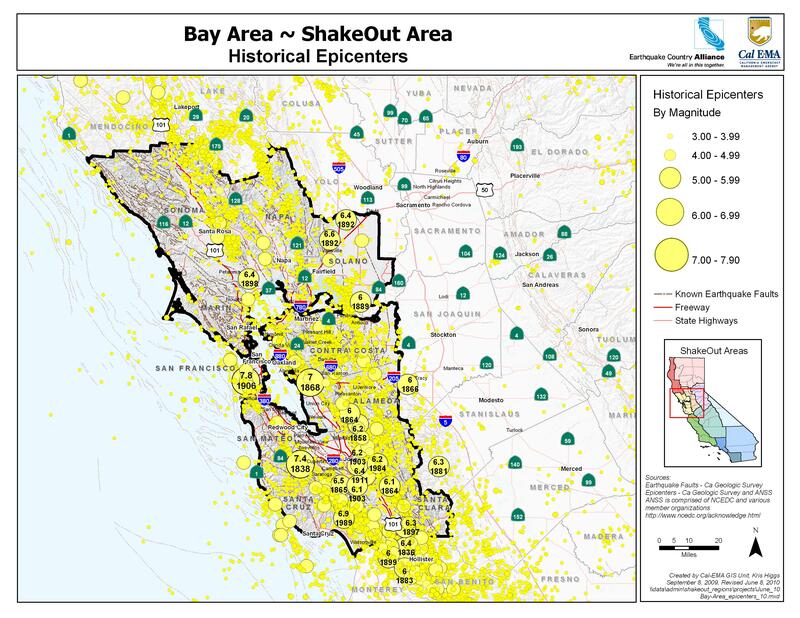 Bay Area Earthquake Alliance - The Bay Area Earthquake Alliance, which is composed of 182 member groups and organizations, coordinates earthquake awareness and preparedness activities throughout the San Francisco Bay Area. The Alliance is a part of the Earthquake Country Alliance, a statewide alliance linking organizations and individuals that provide earthquake information and services. Bay Area Rapid Transit (BART) - Earthquake Safety Program for the rapid transit district. Earthquake and Hazards Program - From the Association of Bay Area Governments (ABAG), covering the nine San Francisco Bay Area counties. app for San Franciscans' quality of life issues. by American Red Cross. Receive alerts and notifications.